Humminbird is that brand that thinks of offering the fish finders via putting all the great qualities into it. And when their buddy max model came out, many fishers got upset for its lack of down imaging feature. Yet, the brand cared about their preference and decided gift another model with such feature. Hence, unlike their buddy max, there is another model that comes with down imaging and that is Humminbird fishin buddy max di. So those who got upset for not having the DI feature in their buddy max unit, you can get one in this unit. 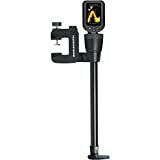 However, as you can already guess that where is this write leading to, we can now start the Humminbird fishin buddy max di review to boast what it has. So the unit has 2 sonar features: DI which is Down Imaging and 2D which is DualBeam. And as for DownImaging, it’s capable of one frequency which is 455 kHz. However, it too does not have CHIRP technology like the buddy max model. But it still manages to deliver an amazing excellent target separation and decent imaging for both DI and 2D. As for DualBeam sonar, its capable of 2 two frequencies: one is 200 kHz and other is 455 kHz. Moreover, you will also find the transducer basic that comes with the unit. As the sonar is only DualBeam, it is able to use one frequency at the time only. Moreover, It also doesn’t have CHIRP technology. But, it still manages to deliver a decent target separation, that helps in keeping track of the bottom and identify the fish targets. Besides, it uses two conical beams with a depth capacity of 600 feet, one of 16 degrees for 455 kHz, and one of 28 degrees for 200 kHz. However, as the unit does not own DualBeam Plus sonar, you will not get the SwitchFire function and it also does not record sonar. But there are other useful sonar functions that come with the unit and these are Structure ID, Selective Fish ID and three types of alarms. Selective Fish ID is a function that replaces the fish arches with fish icons and each of them will have its current depth that will be shown next to it. Although, the feature might misinterpret the vegetation with the fish and end up showing the fish icon to the display. Hence, you must check out every time whether the device detects the fish or the objects. On the other hand, Structure ID is a function that represents the strong returns as dark pixels while the weak returns will be lighter. And you will also find a WhiteLine function that highlights the strongest sonar returns in white and this results in a more distinctive bottom contour. You will find three alarms in the unit and these are Fish Alarm, Depth Alarm and, Battery Alarm. The Battery alarm dings when the battery is equal or lower than the setting. As for the Fish Alarm, it will ring when the finder senses fish targets that match up to a specific size. And lastly, the Depth alarm that dings when the depth is equal or lower than the selected value. The Humminbird Fishin’ Buddy MAX DI features a different type of mounting kit than the other devices. The unit has a tilt and swivels mount, and it is designed to attach it to the included 24 inches fixed pole. The device comes with a 256 color range and 3.5 inches diagonal a color display. It features a pixel resolution of 240H x 320V. You will find the display backlit with 5 levels of brightness so you can fish at any time you want. But as you can see the display is pretty small, it might annoy you at some point of fishing. There are three alarms in the unit. The finder is waterproof, so it will not get damaged and leave you upset. You will find the display backlit with 5 levels of brightness. It features both DualBeams and Down Imaging. Selective Fish ID helps in recognizing the fish to let you know the presence of fish. Structure ID represents the strong and weak returns of the sonar. The Selective Fish ID might misinterpret other bits and pieces as fish and notify you with the fish icon. It comes with a very small display. It doesn’t have CHIRP technology. There is no GPS feature with the unit. There is no SwitchFire option in this unit. You might find it a bit pricey. Q: What is the diameter of the telescopic pole? A: The diameter of the telescopic pole is around 3 inch. Q: Can you change the degree of temperature in Celsius? A: Yes, you can change the degree of temperature in Celsius. Q: Does the clamp rotate 90 degrees for mounting to the vertical plane? A: Yes, the clamp rotates 90 degrees for mounting to the vertical plane. Q: Does the clamp move or is it in vertical all the time does it turn? A: Yes, the camp moves to mount to different locations. Q: Does this come with a handle to turn it? A: No, it doesn’t come with a handle to turn it. It includes a base so you can tighten to the side of the boat. The display and sensor are built into one piece. So you just need to put it into the base and turn to lock slightly into place. 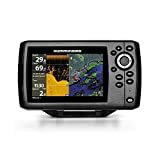 Thus, from the Humminbird fishin buddy max di review, you can see that although it does not have many features that will help you fish, yet its basic features are strong enough to notify you the presence of them. Starting from its great functionality to its alarm system, it has all the basic features that you need for fishing. And most importantly the down imaging feature. We hope that this Humminbird fishin buddy max di review helps you to get your finder and you have a happy fishing with it. So, if you are looking for that ideal fish finder to fish, then this can be a great pick for you.